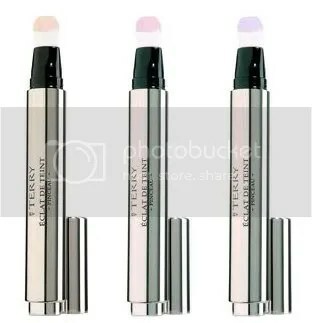 I reviewed By Terry’s Light-Expert Foundation a few months back and absolutely LOVED it, so of course I’m intrigued by these Enhancer Pens, which I’m thinking can be used under the Light-Expert as a primer of sorts. I’ll definitely have to stop by Barney’s in the coming weeks to see if they carry these! This sounds like it’d be amazing after a long, hard day–a mini at-home facial in a pen! 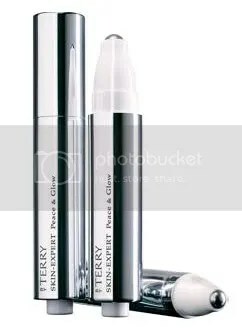 See my review of By Terry’s Light-Expert Foundation here. Formula-wise, the two foundation are known for having a silicone-y slippery feel to them. I’d tried Hourglass’s foundation ages ago and thought it was decent, but comparing it directly to By Terry’s, it doesn’t even come close! 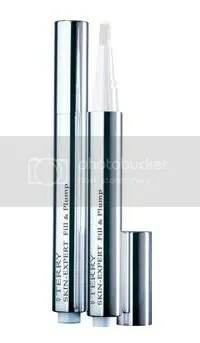 By Terry’s formula has a lot more slip to it and is overall MUCH easier to apply evenly than is Hourglass’s Veil Fluid. Also, the Hourglass was way too sticky for my liking-after applying it with my MAC 187, my whole face felt tacky and sticky until I set it with lots of my favorite La Mer loose powder. 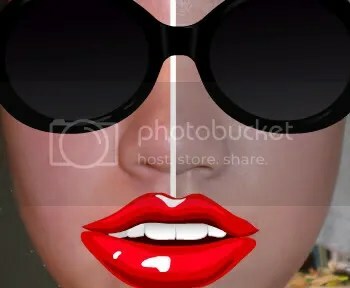 And worst of all, the Hourglass foundation settled into every single one of my pores, which was pretty much a deal-killer for me. I can deal with foundations occasionally breaking me out, feeling sticky, smelling funky, etc but who wants to wear a foundation that makes their skin look bad? The one aspect of Hourglass’s foundation that I did prefer was the fact that it was virtually scentless. 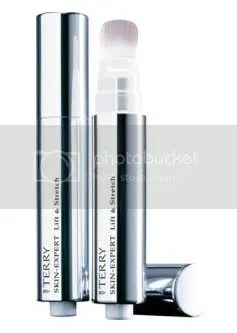 I know I complained about the very strong scent of By Terry’s formula here, but I feel the need to reiterate that it’s ridiculously stinky!!! In terms of price, By Terry’s is 0.57 oz for $48, versus Hourglass’s $60 for 1.5 oz. For those of you who don’t feel like doing the math, the Hourglass ends up being much much cheaper than the By Terry, but in my humble opinion a great foundation is priceless! After performing some very cursory (and probably incorrect) calculations, I think the By Terry comes to about $126 for 1.5 oz. 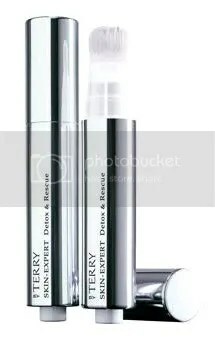 I know it’s a little insane, but I may be picking this up soon because the formula really was lovely! Unfortunately, I don’t have a photograph of the Hourglass on me, but I did manage to snap a quick photo of the By Terry. My face looks strangely gray and discolored in this photo for some reason, but I promise it’s the lighting and not the foundation. Even my mother mentioned that my skin looked nice while I was wearing the Light Expert (which is very rare for her). 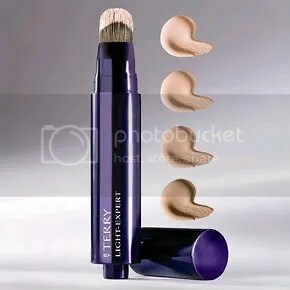 Read my review of By Terry’s Light Expert foundation here.